Sony's Alpha A3000 is the company's most affordable mirrorless camera, and one that aims to take business away from traditional entry-level DSLRs. It features a 20 Megapixel APS-C sensor, Full HD video, and a wealth of shooting modes and assistance that will delight beginners. To hit a low price point, Sony's had to fit a basic electronic viewfinder, but you can't argue with the great image quality from a camera that costs two thirds the price of its cheapest DSLR rivals. The Sony Alpha A3000 is an entry-level camera styled to look like a DSLR or one of Sony’s own SLT models, but inside it’s actually mirrorless, just like the earlier NEX range. Announced in August 2013 it’s positioned alongside the NEX 3 series, rather than replacing it, although the long-term rebranding of Sony’s mirrorless cameras will see those labelled with NEX gradually disappear from the range. When this happens, the A3000 will become the cheapest interchangeable lens camera from Sony. 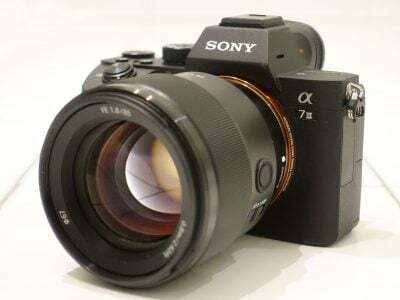 Sony’s market research has revealed many photographers still prefer the classic DSLR shape and style, so they decided to introduce one for their mirrorless E-mount. 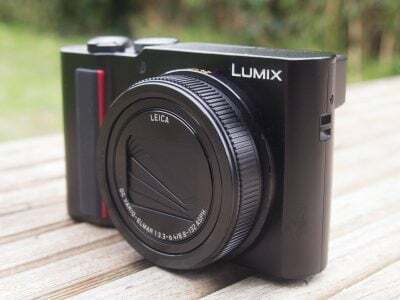 So to reiterate, despite its looks this is not a member of the SLT series or a native A-mount camera – it’s simply a mirrorless in a different outfit. As the most affordable model in the range you’d be forgiven for assuming it would house an older 16 Megapixel sensor, but instead Sony has equipped the Alpha A3000 with a 20 Megapixel sensor. As noted above, it features an E-mount for native compatibility with NEX lenses, although there’s no hybrid AF system, only contrast-based AF. Despite the size and styling there’s no built-in stabilisation either, although the A3000 does feature Sony’s multi interface shoe and multi terminal to support the latest accessories. In addition to a fixed 3in / 230k screen, there’s a basic LCD electronic viewfinder with QVGA resolution. If you’re shopping for a budget interchangeable lens camera with a viewfinder, the A3000 might just be the model that tips the balance in favour of mirrorless rather than a conventional DSLR; so to see how the two approaches compare in practice, I’ve tested it alongside this year’s entry-level models from Canon and Nikon – the EOS T5 / 1200D and D3300 respectively. Read on to discover whether the A3000 really offers a viable alternative to an entry-level DSLR. The Sony A3000 looks like a small DSLR with a slightly simpler control layout. You could also mistake it for a fixed lens bridge super-zoom, though of course it takes interchangeable lenses using Sony’s E mount. It measures 128x91x85mm and weighs 411g with battery and card. That’s smaller and lighter than the DSLRs I’m comparing it with here – the T5 / 1200D measures 130x100x78 and weighs 480g, while the Nikon D3300 is 124x98x76mm and weighs 460g. Compare those dimensions and it’s clear the biggest difference is in height, but the A3000 body is also slimmer than the DSLRs by more than the dimensions suggest – its EVF eye cup protrudes by around a centimetre, adding to the depth. The size and weight difference is noticeable, but not massively so, in your hand the A3000 feels like a small DSLR, or, as I’ve said, maybe a larger bridge super-zoom. The lens release button is rather awkwardly located on the lower right of the body (as you hold it) which means it’s easier to access from the bottom of the camera. There are no other buttons on the front, just the AF illuminator in the valley between the grip and the flash. Like the Nikon D3300, the A3000’s on/off switch is on a collar surrounding the shutter release; behind it you’ll find the mode dial, and on either side of that a button for toggling between the screen and EVF and the playback button. To me, this seems like an odd place for a button that doesn’t have a shooting function and it would have made more sense to swap this with the programmable soft key B; I’ll talk a bit more about that in the handling section later. Moving left across the top panel is the flash with twin stereo microphones inset to the rear and on the left side of it a button which pops it up ready for use. With a GN of 9.2 the Sony A3000’s built-in flash has the same power output as the Canon T5 / 1200D. Both the T5 / 1200D and D3300 have a hotshoe, as does the Sony A3000, but the latter is Sony’s multi-interface shoe which can additionally support other accessories including an optional microphone. All but one of the controls on the rear of the A3000 is situated to the right of the screen; the movie button is above it, just below the mode dial and to the right of the thumb rest. There’s a four-way control wheel used to make exposure adjustments and to access certain camera settings with a single touch. In the default configuration these are, display overlays, ISO sensitivity, exposure compensation and drive modes. However, the right position is programmable as is the second of the soft keys A and B which by default access the menu and the shooting tips guide. The A3000 has a fixed 3 inch screen with 230k dots. The screen has 16:9 proportions with the 3:2 native stills image area displayed on the left and a black strip on the right to display the soft key labels. Exposure and other shooting information is overlayed on the image. In use the screen image is bright, contrasty and detailed – both the Canon T5 / 1200D and Nikon D3300 have higher resolution screens with 460k and 921k dots respectively; but the difference in resolution doesn’t make a great deal of difference. However, because of the difference in proportions the active image size on the DSLRs is significantly bigger – nearly 60x40mm compared with 55x37mm on the A3000. I also found the A3000’s screen had a narrower viewing angle than either of the DSLRs and was less visible in very bright sunlight; something we’ve noted before on Sony cameras with the default settings, perhaps trying to eek out longer battery life. Of course, the screen isn’t the only means to compose shots, the A3000 also has a built-in electronic viewfinder. The 201k dot 0.2 inch panel produces an image with QVGA (320×240) resolution and a magnification factor of 0.7x with 100 percent coverage of the image area. In practice it looks smaller than the optical viewfinder of the Canon T5 / 1200D which is itself smaller than the Nikon D3300’s. It’s also not nearly as bright as the optical viewfinders on the DSLR’s and the experience of looking at your subject via a modest electronic screen bears little comparison to viewing the actual reflected light. Though modern electronic viewfinders on higher-end mirrorless cameras have come a long way, the modest, inexpensive EVF fitted in the A3000 just isn’t in the same league and in many respects is its weakest feature. That said, unless you’re using it exclusively, in which case it can get very tiring on the eyes, the EVF provides a good enough alternative to the screen, such as under bright conditions or when extra stability is desired with the camera held to your face. It’s also worth mentioning like all electronic viewfinders, it has some advantages over the optical viewfinders of the DSLRs: you can use it to compose when shooting movies and it can indicate under and over-exposure problems as well as preview creative styles and picture effects. A large door on the right side of the A3000 opens to reveal the card slot and micro USB terminal for which a cable is supplied. Like all Sony models A3000 takes SD cards as well as Sony Memory Sticks. 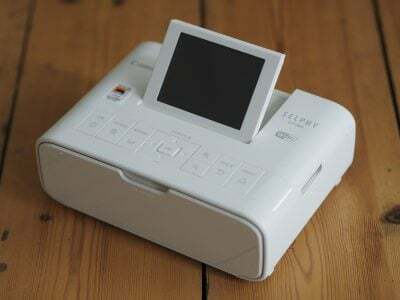 Note unusually the A3000 has no HDMI or AV port so can’t be connected to a TV to view images and video directly from the camera. There’s no Wifi either, but then that’s par for the course for other entry-level models right now; in Sony’s range you’ll currently need to go for the A5000 as a minimum for Wifi. The A3000 is powered by an NP-FW50 battery that’s located in a separate compartment in the base of the grip, accessed from a door in the base. I was pleased to discover that (as on the Nikon D3300, but not the Canon T5 / 1200D) it was possible to remove the battery even when the camera was fitted with a quick release plate for mounting on a tripod. The battery is charged in the camera over a USB connection using the supplied cable. No mains charger is supplied although they are available as optional extras. I think this is a smart move by Sony, most people have a computer they can charge from or already own an AC-USB adapter for another device like a phone or tablet, so why pay for an AC adapter you don’t need? A fully charged battery will get you through 460 shots, 40 fewer than the Canon T5 / 1200D and well short of the D3300’s 700 shot tally – that’s the price you pay for 100% electronic composition compared to a traditional DSLR which can compose with an essentially power-free optical viewfinder. The Sony A3000 is equipped with an E-mount, which with the camera’s APS-C sized sensor, applies a 1.5x field reduction to all lenses. At the time of writing Sony offered 15 native E-mount lenses (nine zooms and six primes) with focal lengths between 10 and 210mm (15 and 315mm equivalent); note three of the 15 lenses are variations of the popular 18-200mm though. In addition you can mount any of the five native FE lenses designed for the full-frame Alphas without an adapter, although again the 1.5x crop factor still applies. The A3000 is available as a kit with the E 18-55mm f3.5-5.6 OSS stabilized zoom in black to match the body. This is the original kit lens that shipped with the first NEX models back in 2010. The quality of construction is good, in fact its metal casing feels superior to the plastic body of the A3000. There are two rings, a front one for manual focussing and a rear zoom ring which has a nice smooth action. With the 1.5x field reduction the equivalent range is 27-83mm – you can see the coverage when fully zoomed in and out in the examples above. The A3000 lacks built-in stabilisation, but when fitted with a stabilised lens such as the 18-55mm f3.5-5.6 OSS stabilisation can be activated from the Setup menu. There are two positions, On and Off which can be selected with the mode dial in any position with the exception of some scene modes. To test the stabilisation I zoomed the 18-55mm kit lens to its maximum 83mm equivalent zoom setting and took a series of hand-held shots in Shutter Priority mode at progressively slower speeds, first with the stabilsation turned off, then with it turned on. As you can see from the results below, the A3000 is capable of being handheld at speeds down to around 1/10th – about three stops slower than convention suggests is safe with a non-stabilised lens. 18-55mm at 55mm, 100 ISO, 1/10th, SteadyShot off. 18-55mm at 55mm, 100 ISO, 1/10th, SteadyShot on. Compared with those of the two DSLRs, the A3000’s mode dial looks relatively simple and uncluttered. That’s because Sony has resisted the temptation to include dedicated positions for individual scene modes, opting instead to pool them all under one SCN position and offer a screen menu. The other mode dial positions include PASM exposure modes, two auto positions and Sweep panorama. Intelligent Auto employs scene recognition to identify the subject and set an appropriate scene mode. The A3000 can tell if the camera is on a tripod, allowing longer exposure times, or if there’s motion in the frame, in which case it will increase the ISO sensitivity and use a faster shutter speed to arrest the movement. In Superior Auto mode the A3000 takes a burst of images and combines them into a single composite shot with improved dynamic range. The ability to deploy scene recognition whether you’re composing with the screen or viewfinder is a key benefit a mirrorless camera has over a traditional DSLR for those who mostly shoot in Auto. To be fair, DSLRs can offer scene detection in live view, but it’s normally slow and won’t work with the viewfinder. Some of the latest DSLRs can offer a degree of scene analysis with their white balance sensor, but again this currently falls short of the experience you’ll enjoy with a camera that employs 100% native electronic composition. Shooting in Auto with the A3000 is like having the ease of use of a point-and-shoot camera, but with the benefit of a much bigger sensor and the chance to swap lenses – ideal for beginners. Switch the mode dial to the SCN position and you have the choice of 9 scene modes, though most people will be happy with selecting Intelligent or superior Auto and letting the A3000 choose a screen mode for them. If you prefer to make the choice yourself, the composite Hand-held Twilight and Anti Motion Blur are included along with the other regulars including Macro, Portrait, Sports Action and Sunset. Dynamic Range Optimiser (DRO) and in-camera HDR options are located on the Brightness/Colour menu; the former available in Auto or set Levels of one to five, and the latter available as Auto or in increments of one to six EV. The HDR mode takes three images at the desired interval and combines them in-camera into a single JPEG file, and you can trigger it with a single shutter press or a self-timer. Some examples of the various Picture effects are shown above. The full range includes HDR Painting, High Contrast Mono, Miniature, Partial colour (R,G,B,Y), Pop colour, Posterization (colour, B/W), Retro Photo, Rich-tone Mono, Soft Focus, Soft High-key, Toy Camera. As they go, some of the effects are pretty cool, and you can preview many of them on the screen or viewfinder so you can see what you’re about to get. Pressing the left position on the control wheel accesses the A3000’s drive modes. As well as self-timer and continuous shooting options, here you’ll find continuous 3-frame auto exposure bracketing up to +/- 3EV in 1/3EV intervals. The absence of Auto white balance and DRO bracketing which are available on higher end Sony mirrorless models is unlikely to be missed though. The A3000 also offers Sony’s Auto Object Framing feature, which makes a duplicate image that’s cropped and effectively recomposed. In practice it generally activates when shooting people in the Auto modes, recognizing people’s faces and switching into a portrait scene mode and creating a duplicate image, cropped to offer an alternative composition. Once you get over the camera making decisions about the composition for you, it can be very useful and would particularly benefit novice shooters. The feature gives you a smartish scaled-up crop along with the original for good measure. Unlike the more expensive A6000 which sports a hybrid phase / contrast detect AF system, the A3000 is equipped with contrast detect only auto focus. You can choose between 25-area, centre or a moveable ‘flexible’ spot. There’s also a tracking option which oddly is not included on the AF mode menu, but must first be selected from the Camera menu before lining up the moving subject in the centre of the screen and pressing the central button on the control dial. Focus modes include AF-S (Single-shot AF), AF-C ( Continuous AF), DMF (Direct Manual Focus), and Manual Focus, the latter with the option of peaking. The A3000 features face detect AF as well as Face registration. You can register up to eight faces which are then prioritized for focus and exposure, but unlike on some models, you can’t associate names, date of birth, or other information with the registered faces. Nonetheless it’s a useful feature to have and one of the advantages, along with scene detect auto modes, the A3000 enjoys over DSLRs. Finally, we can’t talk about a Sony camera’s shooting modes without mentioning panoramas. The A3000 features Sweep panorama, which provides several panorama modes with the maximum 23 Megapixel size measuring 12,416 x 1856. Sony was the first to include panorama features on its compacts and it remains the best. Its panorama modes are versatile, allowing you to shoot in portrait or landscape orientation in either direction and the results are excellent. Like other Sony models, the A3000 shoots movies in one of two formats – AVCHD and MP4. To start movie recording you simply press the red movie button just to the right of the viewfinder. The A3000 supports all the PASM exposure modes for movie shooting, so you can set the exposure manually prior to recording and even alter it during shooting. With the A3000 set to AVCHD encoding, you can choose 1080 50i or 60i (depending on region) at 24 or 17 Mbit/s, or 1080 25p / 24p (depending on region), again at 24 or 17 Mbit/s. Switch the A3000 to MP4 encoding and you can choose between 1440×1080 at 12 Mbit/s or VGA at 3 Mbit/s. The A3000 allows continuous autofocus using the contrast-detect AF system and it works very well. As you can see in the example below, it adjusts focus from close to distant subjects fairly quickly and accurately, a trick DSLRs apart from Canon’s EOS 70D have yet to manage – Full-time AF on the Nikon D3300 is poor and the Canon T5 / 1200D doesn’t offer AF for video at all. You can of course also focus manually and here the A3000 offers another trick unavailable on the entry-level DSLRs, focus peaking. This surrounds in-focus elements with a colour halo (which is of course invisible on the footage) and is a big help especially in low-light. Audio is recorded using the built-in stereo microphones and you can fit an external accessory microphone to the A3000’s multi interface hotshoe. This clip, like the others below was shot using the Sony A3000’s 1080p25 24Mbps video mode. In spite of my rather shaky handling, most evident when fumbling for the zoom ring, the kit lens stabilisation does a good job of keeping things steady. For this tripod mounted pan I turned off stabilisation. The A3000 does a nice job with the exposure, but this clip is marred by a large dust speck on the sensor. I didn’t have to do anything to remove it – it was absent from immediately subsequent clips and shots, but dust on the sensor was a recurring issue with the A3000. The quality on this low-light indoor pan is good, with low noise levels and saturated colours. The exposure adjusts gently and without stepping as I pan past the windows and the stabilisation keeps things nice and steady. To test the A3000’s continuous autofocus I zoomed in a little and set the aperture as wide as it would go in Aperture Priority exposure mode. I then started recording and panned up from the coffee cup to the bar and back several times. Despite a tiny bit of back and forth on my first return to the cup the A3000 does a good job of slowly and unobtrusively adjusting the focus to keep the subject sharp. This is far superior to the Full-time AF of the Nikon D3300, the Canon T5 / 1200D lacks continuous AF for movies. Compared with an entry-level DSLR, the Sony A3000 offers a different kind of handling experience. Firstly, there’s electronic composition; which is a very different approach to that of the DSLRs equipped with optical viewfinders and phase detect AF. Effectively the A3000 is in live view all the time, which has pros and cons. You might expect one of the drawbacks to be slower AF, but in most situations I found the A3000’s contrast detect AF system was as fast and responsive as the DSLRs phase detect AF, though its low light and tracking performance lagged behind them. In live view of course, neither of the DSLR’s is a match for the A3000. On the plus side with the A3000 you also get face detection and much better continuous AF for movie shooting. The A3000 has fewer physical controls than either the Canon T5 / 1200D or the Nikon D3300. So where on the T5 / 1200D you have the luxury (some would say necessity) of one dial for shutter speed and another for aperture control, on the A3000 you have the more compact-style arrangement of using the rear wheel for both, pressing the bottom exposure compensation position to toggle between them. To be fair, this is the same arrangement as on the Nikon D3300. With three soft buttons, the A3000 actually provides a lot more scope for customisation than either of the DSLRs. The right key on the control wheel is ordinarily assigned to ISO sensitivity but can be reprogrammed as a function menu providing quick access to any one of six user-defined settings. Effectively it’s a customisable quick menu, something Sony has been slow getting around to but very welcome all the same. The lower of the two rear buttons known as soft key B is also programmable and can be assigned to one of 19 functions including AF mode, metering mode, ISO sensitivity, white balance, DRO/Auto HDR, Picture Effects and Creative Styles. So although it lacks some of the physical controls of the DSLRs, the A3000 makes up for it with a higher level of customisation. The Sony A3000 can shoot continuously at 3.5fps in Speed Priority Continuous mode. To test it, I fitted a freshly formatted Sandisk UHS-1 SD card rated at 45MB/s, set the image size to large fine JPEG and selected the Speed Priority Continuous drive mode. With the shutter release held down the A3000 fired off 8 frames before momentarily stalling then continuing at a slower irregular rate. The speed for the first 8 frames was 3.55fps, thereafter it maintained an average of 2.38fps. Set to RAW+JPEG (interestingly there is no RAW only setting), the A3000 managed 3.59fps for a burst of 5 shots before stalling and continuing at a much slower pace around 0.5fps. Both DSLRs offer better continuous shooting performance – the Nikon D3300 is faster at 5fps and the Canon T5 / 1200D a little slower at 3fps. But the DSLRs can shoot a much longer burst – 100 frames for the Nikon while the Canon T5 / 1200D can pretty much shoot indefinitely with a fast enough card. One other thing to bear in mind is that framing and following subjects is much easier with the optical viewfinder of a DSLR than the electronic screen or viewfinder of the A3000 which lags behind the action by one frame. The A3000’s 20.1 megapixel sensor produces images with a maximum size of 5456×3632 pixels. Images are saved as JPEGs with one of two compression settings. Large Fine JPEGs are typically around 5-10Mb in size. The A3000 can also save RAW files in Sony’s ARW format, although only with an accompanying JPEG. The shutter speed range is 30 to 1/4000 plus B and the ISO sensitivity range is 100 to 16000 ISO. To see how the quality of the Sony A3000 measures-up in practice, take a look at my Sony A3000 quality and Sony A3000 noise results pages, browse my Sony A3000 sample images, or skip to the chase and head straight for my verdict.